Who wants to buy me a country? 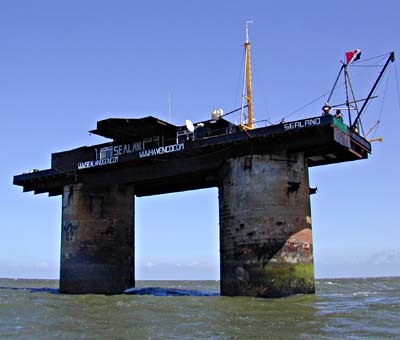 Sealand is for sale. Let’s see, if we all chip in 10 mil or so, we can all move out there! The only problem I see is that the North Sea is freezing and I’m not a fan of the cold. Still, it’s a fascinating concept. ~ by goat_admin on January 12, 2007.